If you love all-day breakfast like we do, we want you to join us and celebrate the simple pleasures of breakfast this National Breakfast Day! - Give customers even more reasons to wake up for breakfast with the launch of the McDonald’s Surprise Alarm App! With the app, you can set multiple alarms, wake up to the tune of your choice, and stand to win daily surprises that range from a free cup of coffee, to a sundae on us, and music downloads. 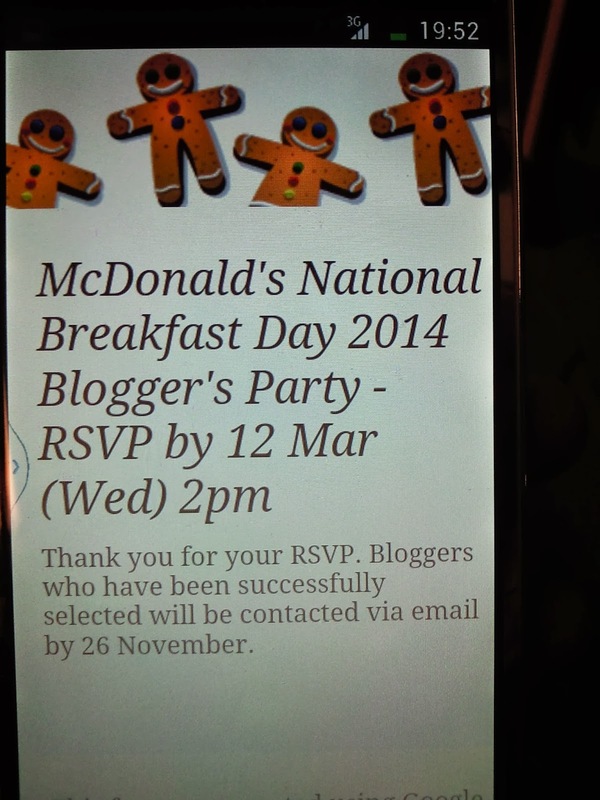 National Breakfast Day will be taking place on 17 March 2014, Monday, and we would like to invite you to an exclusive sneak preview this Friday, 14 March, as we serve you Breakfast for Dinner, and unveil the brand new McDonald’s Surprise Alarm App! To RSVP, click here and fill in the form by 2pm on 12 Mar (Wed). Selected bloggers will be notified by email/SMS by 13 March, and will be required to put up your blog entries by 16 March after attending the party. Look forward to having Break-nner (or Din-fast?) with you!